This is a fine edition of Jospeh Conrad's most acclaimed novel, printed on cream, acid-free paper. 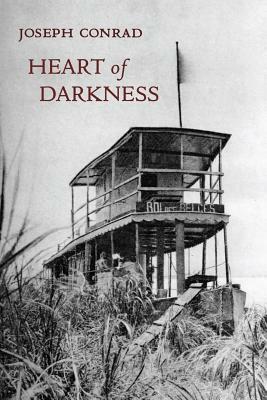 As the narrator Marlow journeys ever deeper into the Congo's 'heart of darkness', so he also penetrates deeper into the folly of western corruption and absurdity that characterises both the collision of European and African cultures, and the conflicts in his own inner nature. The story that tells of Marlow's mission to find the mysterious but missing Mr Kurtz, as he travels along the Congo River into the interior of the 'dark continent', tells also a second dark story of what happens when white westerners intrude into, and try to dominate, the continent of Africa without understanding either its people or their culture; but at its most penetrating level, Conrad's story reveals that the 'heart of darkness' lies at the core of human nature itself, that the journey to find Kurtz, is Marlow's journey to his own darkness that, viewed at its most bleak is the darkness that we all share.